Rapidly cures inflamed acne and reduces acne redness. The acne will start to subside within 24 to 48 hours after the first application. 1 tube can last up to 1 month. Apply small quantity of BEROF Acne Gel twice daily in the morning and in the evening, only on the acne, pimples, and blackheads. 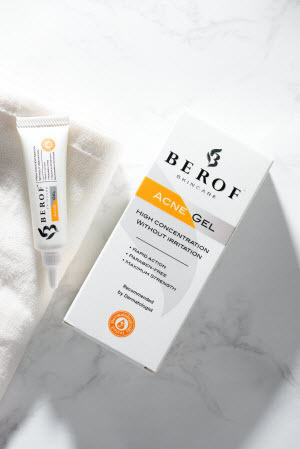 Apply the BEROF Acne Gel only on the inflamed acne/ red acne spots, acne comedones and the lesions that might tend to develop as inflammatory acne ( Nodular Acne and Cystic Acne). In case of applying the BEROF Acne Gel in the morning, we recommend applying it as the last step after wearing the makeup or sunblock. But in the evening when there is no need to wear makeup, cosmetics or sunblock, use it as the 4th step after applying BEROF Skincare Whitening Gel. Rapidly cures inflamed acne (Nodular Acne or Cystic Acne) and reduces acne redness. The acne will start to subside within 24 to 48 hours after the first application. Prevents hyperpigmentation and brown spots on the face causes by acne. Prevents open comedones ( Blackheads ) to become inflamed acne. Decreases the risk of post acne scars as inflamed acne start to heal within 1 day after applying the BEROF Acne Gel. 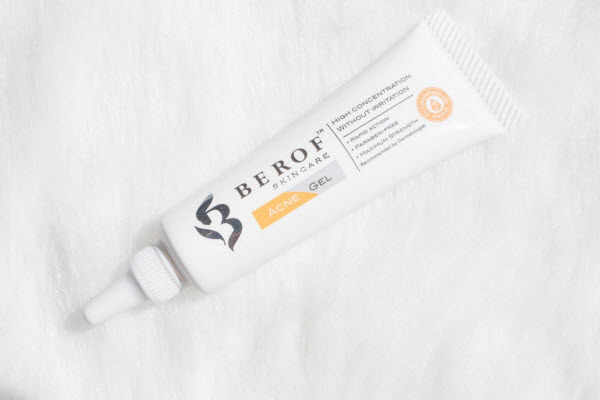 If you are suffering from poor quality acne products, and want best results, try this BEROF Acne Gel, we guarantee you will appreciate its results. After using: Rapidly cures inflamed acnes with reduced irritation. Clinically proven formula to give maximun results. 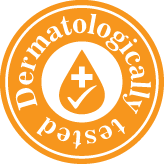 Salicylic Acid: Anti-microbial properties, prevents pore clogging and gently exfoliates clogged pores. 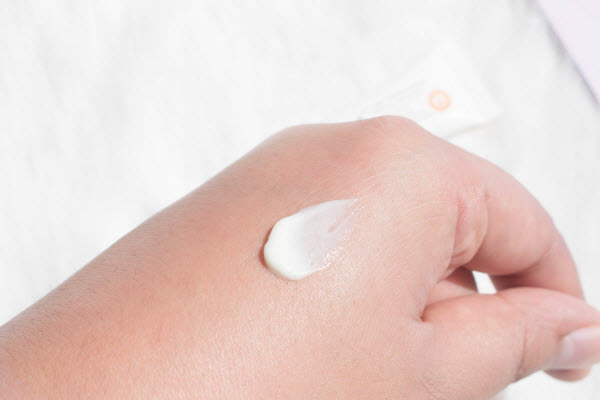 NIACINAMIDE: Vitamin B-3 makes skin color fair and rediant. It also nounrishes the skin to be healthy and soft. I have dry skin and get random pimples usually on my chin or cheeks. Since using this product I have seen a decrease in breakouts and if a pimple does try to see the light of day it doesn’t get very far and it is soon gone. I’ve also noticed a reduction in my pore size which is a huge thing for me and I’ve been trying to minimize the appearance of them. I love this product and willl continue to use it and tell everyone I know. I love BEROF ACNE GEL ! I've only been using it for a week and can already see a dramatic difference. I would recommend this to anyone.